Therapy developed by John Upledger, D.O., this technique involves a light touch modality that uses a gentle soft- tissue technique to release restrictions in the membranes around the brain and spinal cord, enhancing central nervous system performance and allowing the body to self correct. This bodywork focuses on five basic principles--biomechanics, ischemia, trigger points, postural distortion, and nerve entrapment and compression--that are important factors in the body's physical homeostasis. 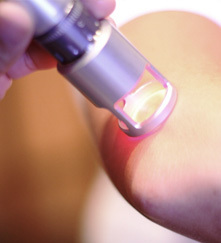 This therapy is used to treat soft-tissue pain throughout most of the body. It also helps rebuild the strength of injured tissues, assist venous and lymphatic flow, and restore flexibility to the tissues. Myofascial release is a safe and very effective hands-on technique that involves applying gentle sustained pressure into the Myofascial connective tissue restrictions to eliminate pain and restore range of motion. This approach aides in the relief of cervical pain, back pain, fibromyalgia, scoliosis, neurological dysfunction, restriction of motion, chronic pain, and headaches. Performing medical massage requires a firm background in pathology and utilizes specific treatments appropriate to working with pain and recovery from injury. The therapist may work from a physician's prescription or as an adjunct healer within a hospital, chiropractic, or physical therapy setting. 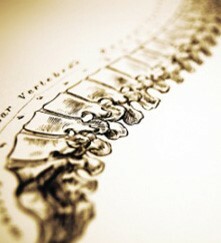 Medical Massage is used to help treat conditions such as whiplash, carpal tunnel, TMJ, and sciatica. Techniques are applied to affect the sub-layer of musculature and fascia. These techniques require advanced training and a thorough understanding of anatomy and physiology. Deep Tissue helps ease chronic muscular pain and aides injury rehabilitation. It can also reduce inflammation-related pain caused by arthritis and tendinitis. It is generally integrated with other massage techniques. Based on an ancient Chinese therapy, reflexology involves manipulation of specific reflex areas in the feet that correspond to other parts of the body. Sometimes referred to as zone therapy, this bodywork involves application of pressure to these reflex zones to stimulate body organs and relieve areas of congestion. Similar to acupressure principles, reflexology works with the body�s energy flow to stimulate self-healing and maintain balance in physical function. 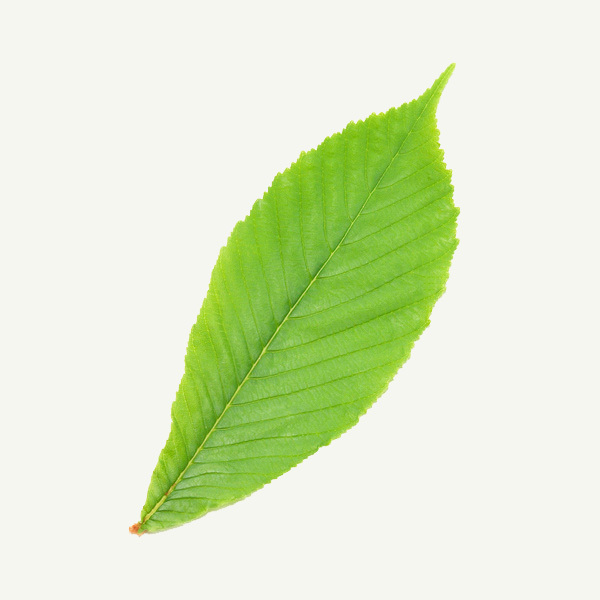 This technique is used to reduce pain, increase relaxation, and stimulate circulation of blood and lymphatic fluids. It is especially useful in stress-related illness and emotional disorders. One of the most commonly taught and well-known massage techniques, Swedish massage is a system of treatment designed to energize the body by stimulating circulation. Five basic strokes, all flowing toward the heart, are used to manipulate the soft tissues of the body. Therapists use a combination of kneading, rolling, and percussive movements, with the application of lotion or oil, to reduce friction on the skin. The many benefits of Swedish massage may include relaxation, dissolution of scar tissue adhesions, and improved circulation, which may speed healing and reduce swelling from injury. Sports massage is designed to enhance athletic performance and recovery. There are three contexts in which sports massage can be useful to an athlete: pre-event, post-event, and injury treatment. 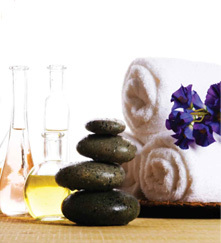 Pre-event massage is fast-paced and stimulating, it helps to establish blood flow and to warm up muscles. Post-event massage is to calm the nervous system and begin the process of flushing toxins and waste products out of the body. Post-event massage can reduce recovery time, enabling an athlete to resume training much sooner than rest alone would allow. When an athlete sustains an injury, skillful massage therapy can often speed and improve the quality of healing. 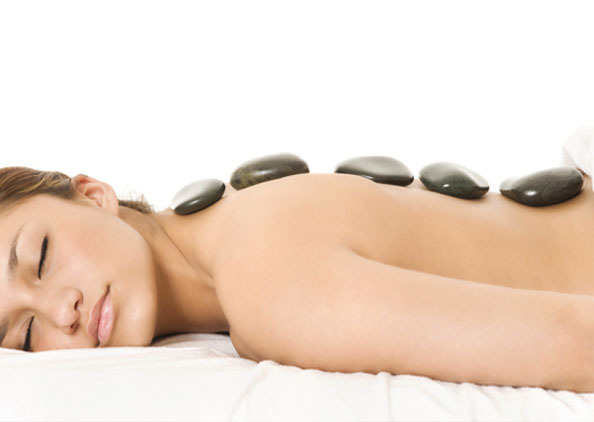 Warm stones encourage the exchange of blood and lymph and provide soothing heat for deep-tissue work. Stones are placed in varying positions on the body for energy balancing, warming and stretching muscles, increasing circulation, or may be used by the therapist for specific trigger-point work.